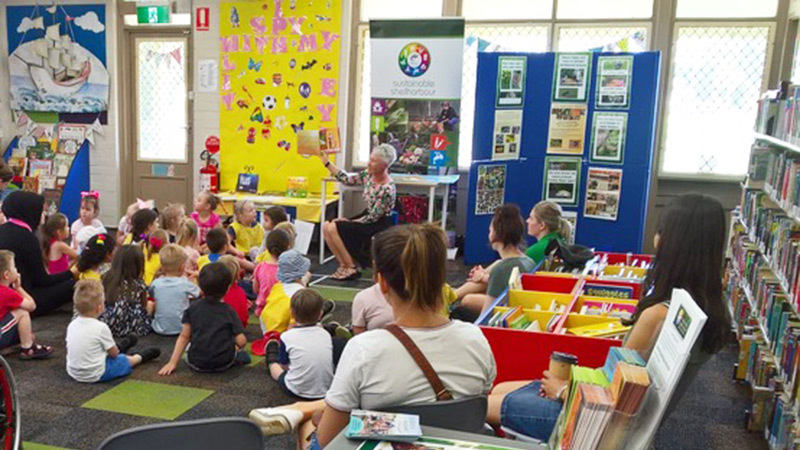 Come along and see Jody’s workshop at Shellharbour library for National Pollinator Week on Thursday 15th November, 2018. National Pollinator Week, from 11 – 18 November, is a time to acknowledge and celebrate our important and unique insect pollinators. It’s a designated week when community, business and organisations can come together to raise awareness of the importance of pollinators and support their needs. Shellharbour City Council will be celebrating National Pollinator Week with the following two activities. On Thursday 15 November at 11am we’re inviting young children aged 2 – 5 years and their carers to join in a free pollinator theme Storytime activity at City Library. Listen to local author Jody Cauduro storytelling her book While Mandy Waited, a celebration of the seasons and the important role bees play in supporting the creation of our fresh food. After this fun story time including drama and songs, kids can enjoy a simple craft activity. This free activity is organised by Shellharbour City Libraries and Council’s Environment team. Bookings are not required.